To perform simulations an installation of LAMMPS is required. There are two approaches that can be used. Binary files for LAMMPS compiled for particular platforms and including USER-SELM package can be obtained from the Download Page. Or you can compile from source code for your particular platform using the latest distribution from the LAMMPS Website. If you use binaries then you are done, otherwise proceed with these instructions for how to include the USER-SELM package into the compilation of LAMMPS from source code. After downloading the latest release, extract the LAMMPS package files. To install the USER-SELM package copy the source codes from the MANGO-SELM_release_x_linux/src directory to the LAMMPS/src directory. The LAMMPS package has installation commands to incorporate user developed source codes into the package. To execute the LAMMPS installation command go to the LAMMPS/src directory and issue the command "make yes-user-selm" This will copy all USER-SELM source codes to the LAMMPS distribution. The USER-SELM package makes use of the LAMMPS molecular package, so be sure to also install it by using "make yes-molecule"
For further information about how to compile the LAMMPS source code for your particular platform follow the instructions on the LAMMPS website. In particular, see the LAMMPS "Manual" and the pages on "Making LAMMPS." This may require editing the Makefile to include reference to package such as FFTW3 and other packages used by LAMMPS and USER-SELM. See LAMMPS instructions for details. Note the current release of the USER-SELM package is currently only implemented for serial processing. Be sure to build the MPI stub in the LAMMPS/src/STUBS/ directory before compiling LAMMPS. Note the USER-SELM package makes use the FFTW3 package. This can be downloaded here www.fftw.org or using the Linux Package Manager for your distribution of linux. For an example makefile that compiles LAMMPS for serial execution on our ubuntu distribution see Makefile.ubuntuSerialDebug. To use this file copy it to the LAMMPS/src/MAKE directory and then from the LAMMPS/src directory type "make ubuntuSerialDebug". Note when using Cygwin on Windows a funny error can occur from the ASCII format used for DOS line returns. If an error concerning a missing \r command is report then convert the files to UNIX formatting. Call "tr -d '\15' < inputFile > outputFile" To help avoid mangling of names and other funny Windows-related quirks extract the tar.gz file only from directly within Cygwin (avoid using windows-based software). If you encounter issues with this documentation or with the distribution, please submit on the Feedback / Bugs Page. Also see Tutorials for Setting up Simulations. After downloading the latest release, extract the package files from the file MANGO-SELM_release_x_linux.tar.gz. This will create a directory named MANGO-SELM_release_x_linux. Copy this directory into the desired install location and make sure the directory and contents have read permissions. The MANGO-SELM application requires the Java 6.0 Runtime Envirnoment (JRE) to be installed on your computer. This can be downloaded from www.java.com. 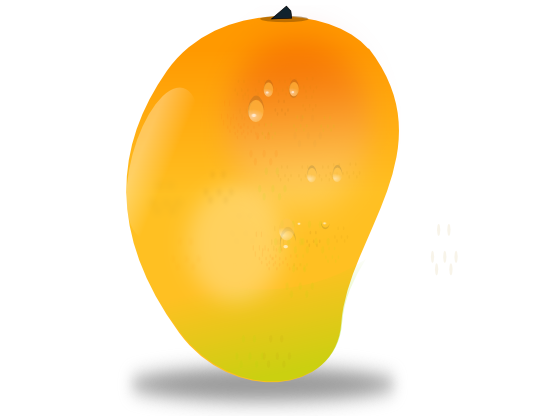 Once java is installed the software can be run using the script "mango-selm" located in the base directory of MANGO-SELM_release_x_linux. To use Jython install the distribution jython version 2.5.2 form www.jython.com. In the Jython interactive interpreter follow the easy step-by-step instructions displayed there. Be sure to set the jython start-up script to the file jythonStartup.py located in the MANGO-SELM_release_x_linux/lib/JythonSELMPackage/ directory. The start-up script imports special modules for MANGO-SELM. These modules allow for programmatic control of the interface and for building model data structures for SELM. If any issues are encountered with the documentation or bugs discovered, please submit a report using the Feedback / Bugs Page.